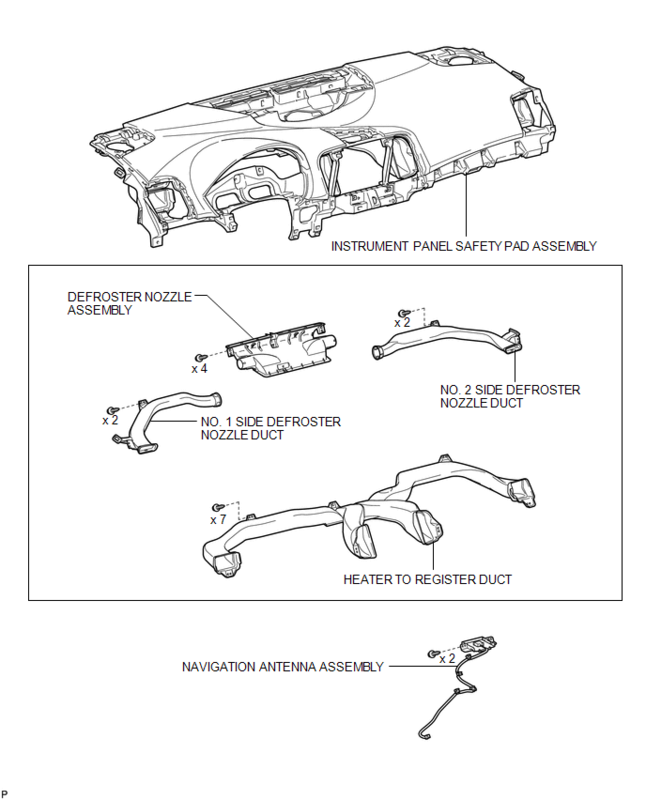 Refer to the procedure up to Remove Instrument Panel Safety Pad Assembly (See page ). (b) Remove the 2 screws and the navigation antenna assembly. (a) Install the navigation antenna assembly with the 2 screws. 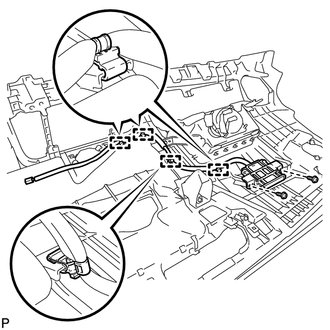 Refer to the procedure from Install Roof Headlining Assembly (See page ).